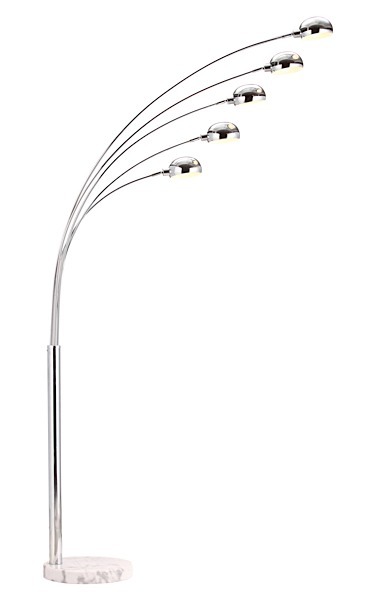 The Cosmic Floor Lamp is crafted with a 14" in diameter, marble base which supports a chrome stem that fans out to support five (5) individual lamp heads. 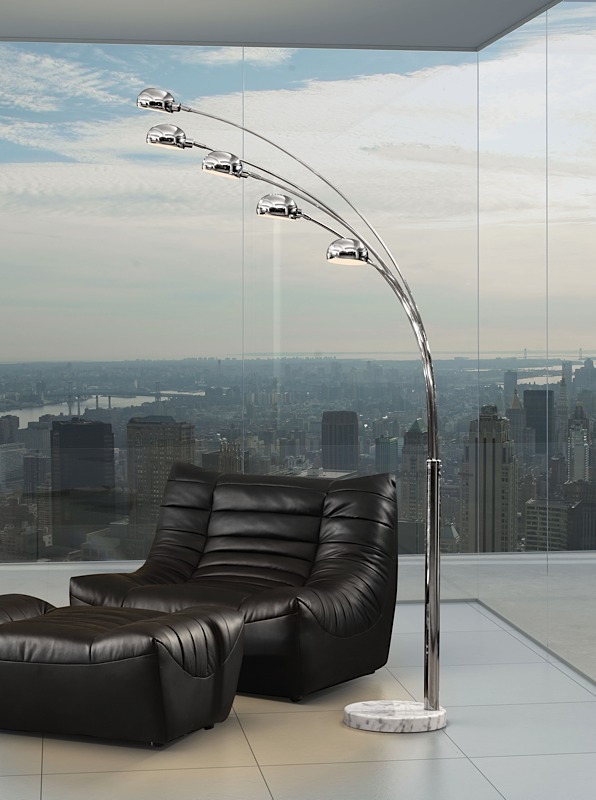 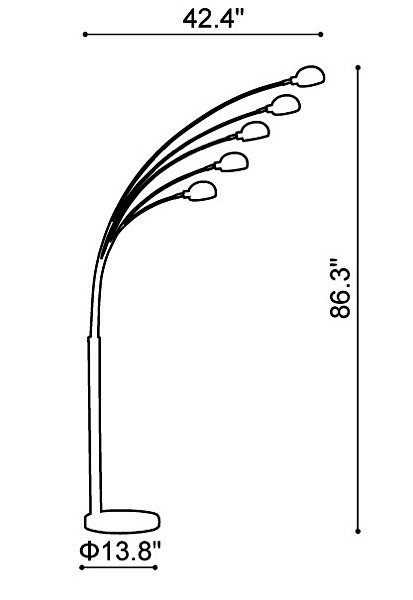 The modern chrome floor lamp requires five (5) 40 watt (max) type E12 G50 bulbs which are included. 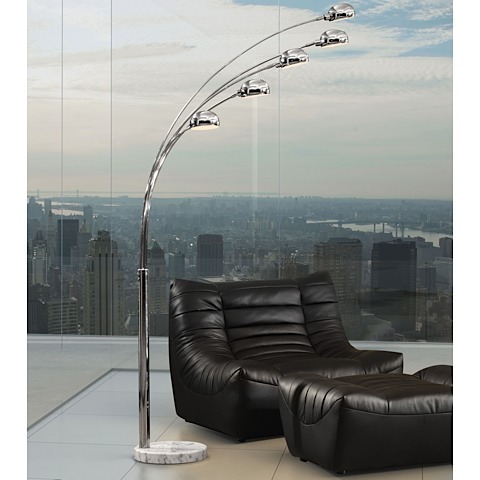 Cosmic has a 158" cord with a convenient foot switch.